As mentioned before, the purpose of this article series is to explore 3rd-party federation solutions that work with Office 365 and which can be an alternative to a Windows’ built-in ADFS server role. In this first article however, I will be discussing a solution which is somewhat different from the others that I will be looking into. In fact, this solution is not really very different from a regular deployment. The company behind this solution is Celestix, whom have made their name with similar approaches for TMG, UAG and before that ISA servers. This time around, they [Celestix] have made an ADFS appliance out of a ‘regular’ Windows Server 2012 R2 machine. Through a custom web page, which is built into the appliance as a service in Windows, you have the ability to easily configure ADFS and DirSync by following a couple steps in the “Quick Setup Wizard”. Under the hood, the wizard will configure Microsoft’s implementation of ADFS and DirSync for you. For this article series, Celestix was so kind to send me a (test)example of their A-Series (3400) appliance which is targeted at small to medium-sized organizations. The appliance is built on top of an Intel i5 CPU with a total of 8GB of RAM. Based on my experiences in the field, this ought to be more than enough for most (smaller) environments. There’s also a larger model which – by taking a look at the specs – is targeted more at the enterprise level. The CPU is upgraded to an Xeon E3 and comes with 16GB of RAM. More importantly though, the big brother (A-6400) comes with 2 redundant hot-swappable hard drives and powers supplies, whereas its little brother doesn’t have any of that. It’s safe to assume that an appliance would cost anywhere between $ 4,000 and $ 5,000 (but don’t hold me to that!). For that kind of money – even though it includes the license for Windows too – it would be nice to have had at least a redundant hard drive; just for peace of mind. But then again, not many vendors offer that with their entry-level models. 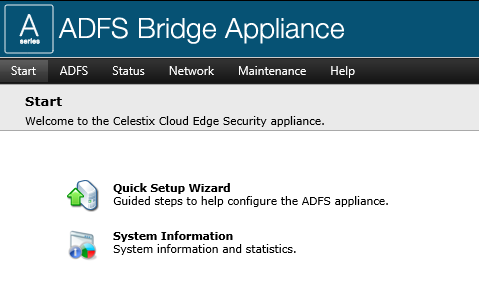 Celestix also has a solution for the ADFS Proxy role, which is built into their E-Series “Cloud Edge” appliance. I haven’t tested that appliance myself, but I can only assume it operates in a similar way as the A-Series. If you want a highly available setup, you will have to purchase at least 4 devices –just like you would do for a regular Windows-based ADFS setup; 2 Cloud Edge devices (to replace the ADFS proxy servers) and 2 A-Series appliances for the ADFS servers. It is true that you could setup a (virtual) machine yourself and go through the configuration just as easy –that is if you know the steps to execute. But on the other hand, the configuration of ADFS in Windows Server 2012 R2 has become quite easy to do. On top of that, Microsoft is putting quite a bit effort into making it even more easy through e.g. Azure AD Connect; a solution which lets you configure DirSync and AD FS through a wizard. And that solutions comes for “free”… (although nothing is truly free; there’s always some overhead to take into account). Another thing I’m a little “worried” about is the device’s ability to upgrade specific software components. Right now, the appliance is equipped with ‘regular’ DirSync (not AAD Sync). If you are not looking to configure a multi-organization hybrid deployment or if you don’t have multiple forests, this should not be a problem at this very moment. But on the other hand, Microsoft has already mentioned that AAD Sync is the successor to DirSync which means the latter will disappear at some point. 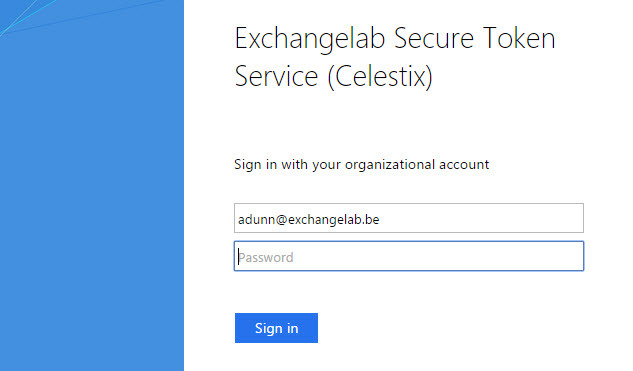 It will be interesting to see how Celestix will deal with the upgrade to AADSync on the same appliance. As you might know, there is no in-place upgrade and switching from the one to the other is (sometimes) a little daunting. The current guidance for the upgrade is to uninstall DirSync and then install AADsync, at least – that’s the theory! And we all know how theories work in real life… When I spoke with the Celestix folks, they told me they were already working on figuring out a way to deal with this and they are also working on a version of their appliance that comes with AAD Sync out-of-the box. A good thing about this appliance – unlike most other appliance – is that you have full control over the underlying operating system: you can RDP into it at any time and make changes where needed – of course, within the guidance of the vendor! But when it comes to ADFS or DirSync, this means that you could implement custom ADFS Claim Rules or configure some filtering rules. Unfortunately, there is no web interface for that. I’m not saying it’s easy per se, but it would provide a lot of value for the audience which I think would benefit most from these kind of appliances. Now that we’ve discussed the device a little, let’s take a look at home to start configuring it. After having it connected to the network, I used the dial button on the device to do the basic networking configuration (assigning IP address etc). The configuration itself went fairly easy, but I was unable to connect to the device afterwards. It left me baffled for a moment, but after rebooting the appliance, I could connect to the web interface just right. The first thing that I noticed is how clean the interface is. It’s particularly easy to navigate, and I had no problems finding what I needed. Through the Start menu-item, you can launch the Quick Setup Wizard where you immediately get the opportunity to join the machine to the domain. Just like the wizard in Windows, you get a summary before firing of the wizard which will configure AD FS. For those who have setup AD FS in Windows Server 2012 R2 before, you will notice that the wizard which Celestix uses is very similar: all the steps in this wizard are also the ones that you have to step through when configuring a Windows ADFS server. It takes a few minutes to setup AD FS. Once this is done, you can go back to the wizard, which will then give you the option to configure “Office 365 Integration”. This means as much as: setup DirSync. At this point, the appliance was giving me a hard time. It wouldn’t continue and displayed the following error message. As any administrator would do, I restarted it and was able to move on. What I particularly like about this solution is that it has some built-in reports. This can be very useful as the built-in AD FS roles does not come with that capability and looking for the right events in the Event Viewer can be time-consuming (unless you have already some reporting solution / PowerShell script that does that for you). The second report is more of a health statistics page. It will tell you if the required components are running and display some statistics about general usage. The beauty of these reports are their simplicity. Unfortunately, I have not found a way to configure an alert when multiple failed logons occur. I was assured by Celestix that this is something they are working on for the future, and I welcome that. It would be really helpful if the right people in the organization would get a message when you might be under attack (or when just “more than usual” failed login attempts happen…). I really liked the appliance, though I cannot speak to its performance and operations over time. Aside of some occasional hiccups (i.e. having to reboot the appliance through the wizard), I’ve had no problems configuring and getting it to work in a matter of a little more than one hour. Given that this is a v1-version, I trust these little wrinkles will sort themselves out shortly. All things considered, some might find value in such an appliance, others might not. It all depends on what you are looking for. Personally, I don’t think there’s much value to be found if you are looking something to “replace” your AD FS servers with. However, if you take into account the (childishly) easy web interface and the built-in reports or if you have a small deployment and do not want the burden to manage additional servers, it might be a different story! 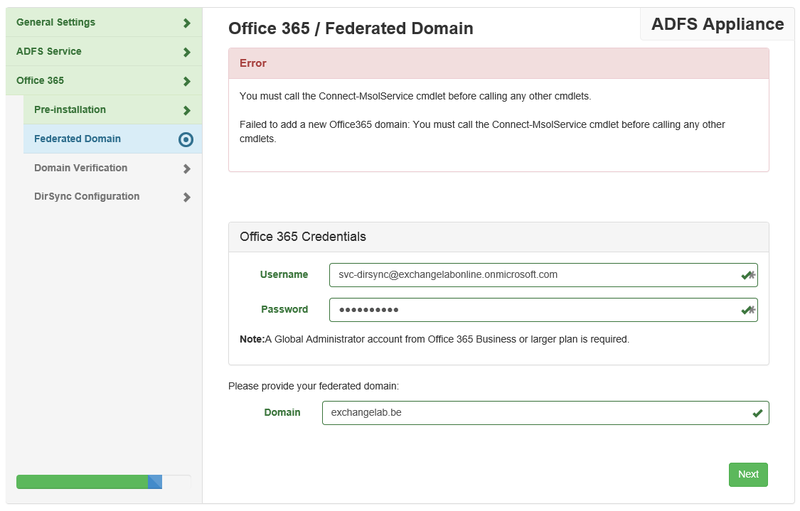 Stay tuned as in the next part of this article series, I will be discussing Okta for Office 365! A few days ago, Microsoft released Cumulative Update 6 for Exchange 2013 to the world. There used to be a time where Exchange server updates were fairly safe. However, pretty much like in every other Cumulative Update for Exchange 2013, this one also includes some bugs which break functionality in one way or another. While one would say that it starts to become painful for Microsoft, I’m starting to believe it’s more of a joke. Exchange Server MVP Jeff Guillet was the one to first report the issue. 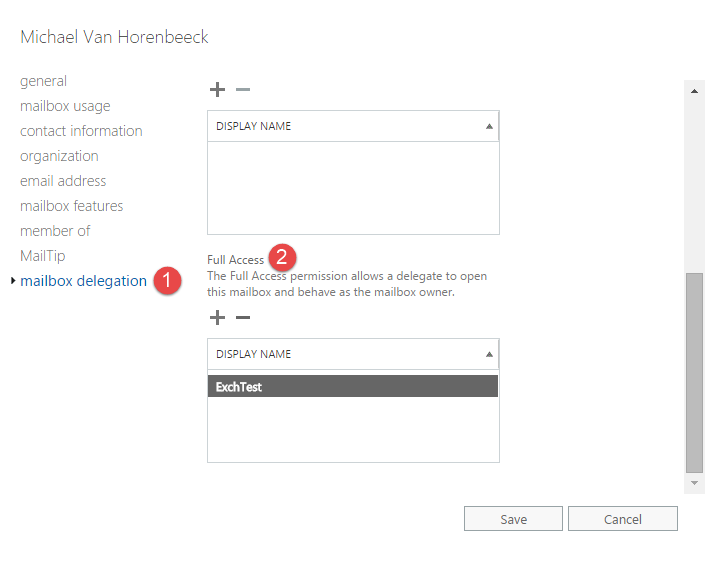 As it turns out, the Hybrid Configuration Wizard in CU6 runs just fine, but some of the features (like initiating a mailbox move from the on-premises EAC or the ability to switch between the on-prem/cloud EAC) no longer work. Although the scope of the break is somewhat limited (it only applies to customers in a hybrid deployment), one could argue it’s an important focus area for Microsoft – especially given that it’s cloud-related. Microsoft has been trying really hard (with success, may I add) to promote Office 365 and get customers to onboard to “the service”. As such, I find it really surprising that it’s the n-th issue related to hybrid deployments in such a short time. In Cumulative Update 5, the Hybrid Configuration Wizard is broken and now there’s this. Needless to say, you are warned about deploying Cumulative Updates into production. Pretty much every MVP which announced the Cumulative Update made the remark that you should better test the update before deploying it. I would say this is a general best-practice, but given the history of recent Exchange Server updates, I wouldn’t dare to deploy one without thoroughly testing it. This brings me to another point: what happened to testing, Microsoft? I understand that it’s impossible to test every customer scenario that you can find out there, but how come that pretty obvious functionalities like these manage to slip through the cracks? If it were a one-time event, I could understand. But there’s a clear trend developing here. 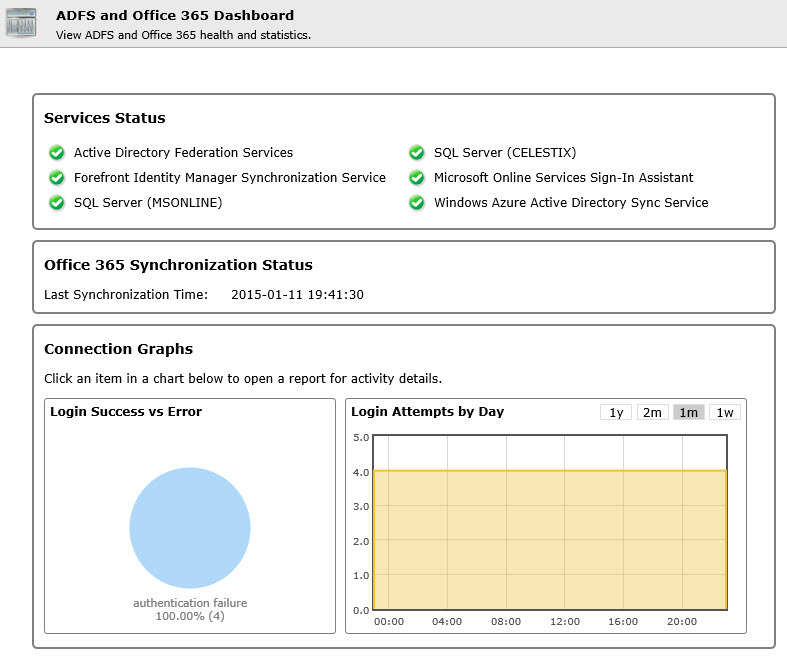 Running a service like Office 365 is not easy. More so, the cadence at which the service evolves can be really scathing. On-premises customers have been struggling to keep up with the updates that are being released in the cloud, but it seems that Microsoft itself is having a hard time to keep up too. I imagine that Microsoft is working hard on a fix for this issue, even during a holiday weekend… Let’s wait and see what happens early next week! Until then, I would hold off on deploying CU6 and revert to using CU5 with the interim update which fixes the HCW bug or – if you don’t like IUs – stick to CU4/SP1.